Virginia , officially the Commonwealth of Virginia, is a U.S. state located in the South Atlantic region of the United States. Virginia is nicknamed the "Old Dominion" due to its status as a former dominion of the English Crown, and "Mother of Presidents" due to the many U.S. presidents having been born there. 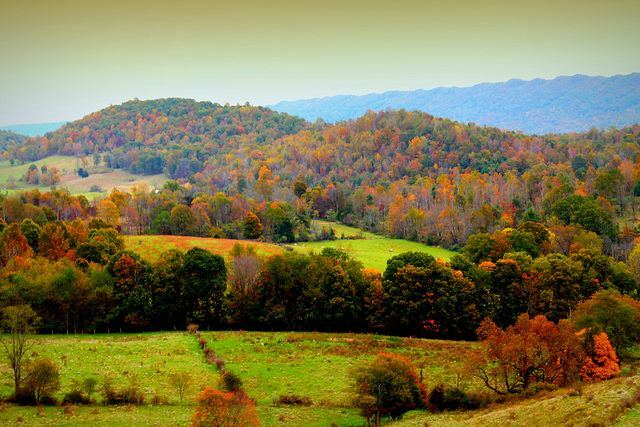 The geography and climate of the Commonwealth are shaped by the Blue Ridge Mountains and the Chesapeake Bay, which provide habitat for much of its flora and fauna. The capital of the Commonwealth is Richmond; Virginia Beach is the most populous city, and Fairfax County is the most populous political subdivision. The Commonwealths estimated population as of 2014 is over 8.3 million. The areas history begins with several indigenous groups, including the Powhatan. 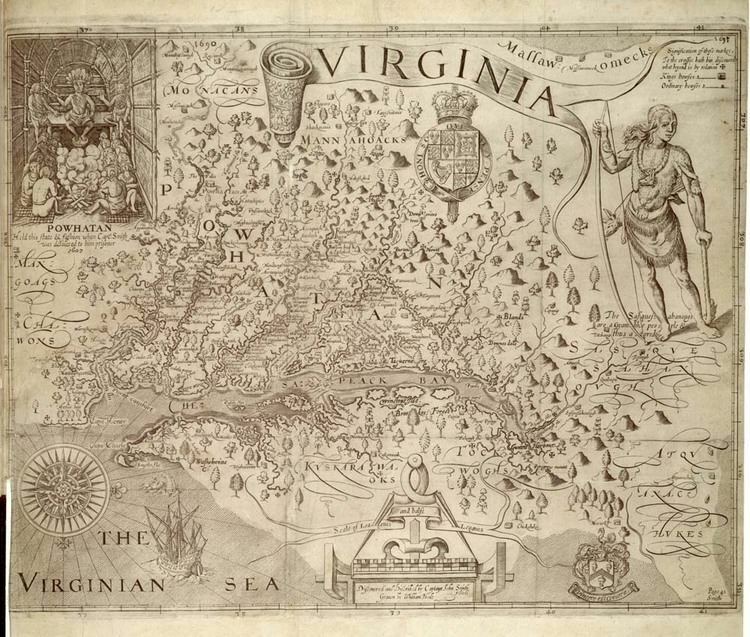 In 1607 the London Company established the Colony of Virginia as the first permanent New World English colony. Slave labor and the land acquired from displaced Native American tribes each played a significant role in the colonys early politics and plantation economy. Virginia was one of the 13 Colonies in the American Revolution and joined the Confederacy in the American Civil War, during which Richmond was made the Confederate capital and Virginias northwestern counties seceded to form the state of West Virginia. Although the Commonwealth was under single-party rule for nearly a century following Reconstruction, both major national parties are competitive in modern Virginia. The Virginia General Assembly is the oldest continuous law-making body in the New World. The state government has been repeatedly ranked most effective by the Pew Center on the States. It is unique in how it treats cities and counties equally, manages local roads, and prohibits its governors from serving consecutive terms. Virginias economy has many sectors: agriculture in the Shenandoah Valley; federal agencies in Northern Virginia, including the headquarters of the Department of Defense and CIA; and military facilities in Hampton Roads, the site of the regions main seaport. Virginias economy changed from primarily agricultural to industrial during the 1960s and 1970s, and in 2002 computer chips became the states leading export. Virginia has a total area of 42,774.2 square miles (110,784.7 km2), including 3,180.13 square miles (8,236.5 km2) of water, making it the 35th-largest state by area. Virginia is bordered by Maryland and Washington, D.C. to the north and east; by the Atlantic Ocean to the east; by North Carolina and Tennessee to the south; by Kentucky to the west; and by West Virginia to the north and west. Virginias boundary with Maryland and Washington, D.C. extends to the low-water mark of the south shore of the Potomac River. The southern border is defined as the 36° 30? parallel north, though surveyor error led to deviations of as much as three arcminutes. The border with Tennessee was not settled until 1893, when their dispute was brought to the U.S. Supreme Court. Jamestown 2007 marked Virginias quadricentennial year, celebrating 400 years since the establishment of the Jamestown Colony. The celebrations highlighted contributions from Native Americans, Europeans, and Africans, each of which had a significant part in shaping Virginias history. Warfare, including among these groups, has also had an important role. Virginia was a focal point in conflicts from the French and Indian War, the American Revolution and the Civil War, to the Cold War and the War on Terrorism. Stories about historic figures, such as those surrounding Pocahontas and John Smith, George Washingtons childhood, or the plantation elite in the slave society of the antebellum period, have also created potent myths of state history, and have served as rationales for Virginias ideology. Virginia is an employment-at-will state; its economy has diverse sources of income, including local and federal government, military, farming and business. Virginia has 4.1 million civilian workers, and one-third of the jobs are in the service sector. The unemployment rate in Virginia is among the lowest in the nation, at 4.8%, as of December 2014. The second fastest job growth town in the nation is Leesburg, as of 2011. The Gross Domestic Product of Virginia was $452 billion in 2013. According to the Bureau of Economic Analysis, Virginia had the most counties in the top 100 wealthiest in the United States based upon median income in 2007. Northern Virginia is the highest-income region in Virginia, having six of the twenty highest-income counties in the United States, including the three highest as of 2011. According to CNN Money Magazine the highest-income town in the nation is Great Falls, as of 2011. According to a 2013 study by Phoenix Marketing International, Virginia had the seventh-largest number of millionaires per capita in the United States, with a ratio of 6.64%. Virginias culture was popularized and spread across America and the South by figures such as George Washington, Thomas Jefferson, and Robert E. Lee. Their homes in Virginia represent the birthplace of America and the South. Modern Virginia culture has many sources, and is part of the culture of the Southern United States. The Smithsonian Institution divides Virginia into nine cultural regions. Besides the general cuisine of the Southern United States, Virginia maintains its own particular traditions. Virginia wine is made in many parts of the state. Smithfield ham, sometimes called "Virginia ham", is a type of country ham which is protected by state law, and can only be produced in the town of Smithfield. Virginia furniture and architecture are typical of American colonial architecture. Thomas Jefferson and many of the states early leaders favored the Neoclassical architecture style, leading to its use for important state buildings. The Pennsylvania Dutch and their style can also be found in parts of the state. Literature in Virginia often deals with the states extensive and sometimes troubled past. The works of Pulitzer Prize winner Ellen Glasgow often dealt with social inequalities and the role of women in her culture. Glasgows peer and close friend James Branch Cabell wrote extensively about the changing position of gentry in the Reconstruction era, and challenged its moral code with Jurgen, A Comedy of Justice. William Styron approached history in works such as The Confessions of Nat Turner and Sophies Choice. Tom Wolfe has occasionally dealt with his southern heritage in bestsellers like I Am Charlotte Simmons. Mount Vernon native Matt Bondurant received critical acclaim for his historic novel The Wettest County in the World about moonshiners in Franklin County during prohibition. Virginia also names a state Poet Laureate, currently Ron Smith of Richmond, who will serve until mid-2016. Many counties and localities host county fairs and festivals. The Virginia State Fair is held at the Meadow Event Park every September. Also in September is the Neptune Festival in Virginia Beach, which celebrates the city, the waterfront, and regional artists. Norfolks Harborfest, in June, features boat racing and air shows. Fairfax County also sponsors Celebrate Fairfax! with popular and traditional music performances. The Virginia Lake Festival is held during the third weekend in July in Clarksville. Wolf Trap hosts the Wolf Trap Opera Company, which produces an opera festival every summer. Each September, Bay Days celebrates the Chesapeake Bay as well as Hamptons 400-year history since 1610, and Isle of Wight County holds a County Fair on the second week of September as well. Both feature live music performances, and other unique events. On the Eastern Shore island of Chincoteague the annual Pony Swim & Auction of feral Chincoteague ponies at the end of July is a unique local tradition expanded into a week-long carnival. The Shenandoah Apple Blossom Festival is a six-day festival held annually in Winchester that includes parades and bluegrass concerts. The Old Time Fiddlers Convention in Galax, begun in 1935, is one of the oldest and largest such events worldwide. Two important film festivals, the Virginia Film Festival and the VCU French Film Festival, are held annually in Charlottesville and Richmond, respectively. Besides the general cuisine of the Southern United States, Virginia maintains its own particular traditions. Smithfield ham, sometimes called Virginia ham, is a type of country ham which is protected by state law, and can only be produced in the town of Smithfield. Barbecue in Virginia is similar to barbecue in North Carolina. It is mostly pork with a vinegar-based sauce, ranging from almost all vinegar in the east spiced with red pepper flakes, to a vinegar-based sauce that has some tomato and a bit of sweetness to it the further west one goes. Marble cake originated in Rockingham County, Virginia from a Mennonite community. Shoofly pie is popular in the Shenandoah Valley and was brought to that area from the Pennsylvania Dutch. Fried peaches, cut in half and simmered in butter with brown sugar melted in their hollows, and served with vanilla ice cream, is a more upscale dessert found in Virginia. Sausage, both link and patties, and usually flavored with sage, constitutes an important aspect to a traditional Virginian breakfast. Virginia is also well known for its peanuts which are prepared by either roasting or boiling them. A traditional Virginian dish is peanut soup which has been present in the cuisine since the colonial era. Historically, Greengage plums were common in Virginian cuisine, but their cultivation has been in decline since the eighteenth century, although it can still be found in Virginia occasionally. Instead Damson plums are more often found in Virginian cuisine. It is often used in jams, jellies, preserves, and desserts. Brunswick stew is a traditional and common dish in Virginia, a type of thick vegetable stew with meat. The traditional meat was the Appalachian flying squirrel, but this has since become endangered and chicken and rabbit are often used in current times. Virginians insist that this stew, common in most parts of the south, was invented in Brunswick County, Virginia, whereas Georgians insist it was Brunswick, Georgia. In the Western half, apples are important to the local cuisine, especially for apple butter and cider. Winesap apples are commonly grown and used in Virginia, whereas in most other American locales they have fallen out of favor. Seafood is important to the coastal areas, such as oysters, blue crabs, bay clams, blue fish, bay scallops, haddock, shad, and shad roe in the Spring. Blue crabs are prepared in many ways such as crab cakes, crab imperial, soft-shelled in season, or simply plain crab meat that is picked from its shell and dipped in melted butter. Oyster and spinach soup is a traditional New Years Eve dish in Virginia, although currently in decline. A common seasoning for seafood is Old Bay spice mix, which is based on traditional spices historically used in the Chesapeake region. Black walnuts also have a place in the traditional cuisine, often used in desserts. Virginia wine is made in many parts of the state. As of 2007, the state has 2,400 acres (9.7 km2) under cultivation, an increase of 14% over the prior year. 5,600 tons were harvested in 2007, a 10% decline from 2006, the majority of which was Vinifera. The entire years crop was valued at $7,800,000. The state ranks eighth in the nation for both bearing acreage and grape production. There are six subregions in Virginia: Monticello AVA, North Fork of Roanoke AVA, Northern Neck George Washington Birthplace AVA, Rocky Knob AVA, Shenandoah Valley AVA, Virginias Eastern Shore AVA. Traditional Virginian Christmas dinners vary but usually consist of either a Christmas ham or roast beef as the center of the meal. A common dinner is roast beef with yorkshire pudding.